I didn't get a pic, but they only fixed the crosswalk part. The chute still exists and the turn is still challenging going eastbound. On the NE corner, they did it right, and it will be quite easy to navigate. A few pics from tonight. 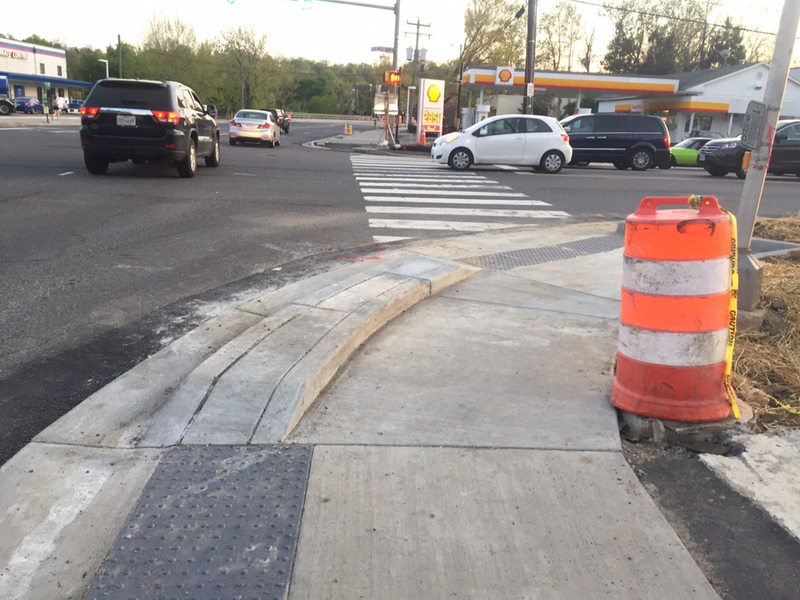 The curb and the length of the sidewalk was shortened to align the curb cut with the existing crosswalk. I live on that corner. At a minimum, there needs to be a curb bump out to slow the drivers down when making a right hand turn. It's a dangerous intersection and I'm furious that left hand turn signal still haven't been installed for north-south traffc. Sigh. 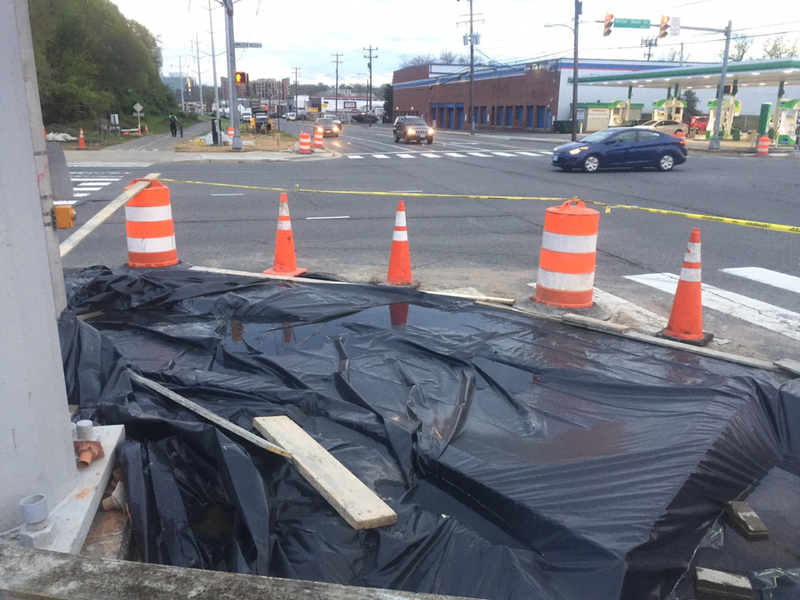 I didn't get photos, but it looks like the crossing of the slip lane on Arlington Mill Drive to the refuge area will be at road grade and not a raised crosswalk like shown in the project documents. That means the school buses and other trucks who currently don't stop for pedestrians and bikes can continue their practice without having to slow down in the future. 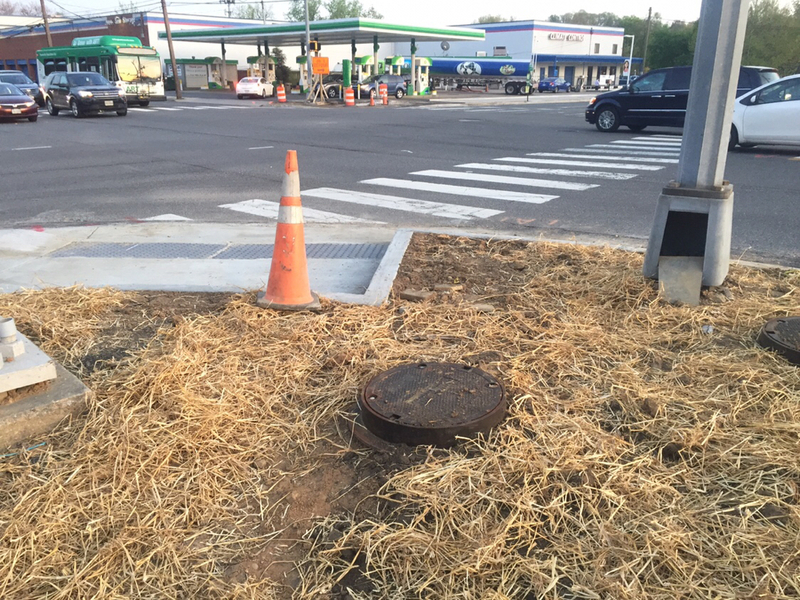 I didn't get photos, but it looks like the crossing of the slip lane on Arlington Mill Drive to the refuge area will be at road grade and not a raised crosswalk like shown in the project documents. 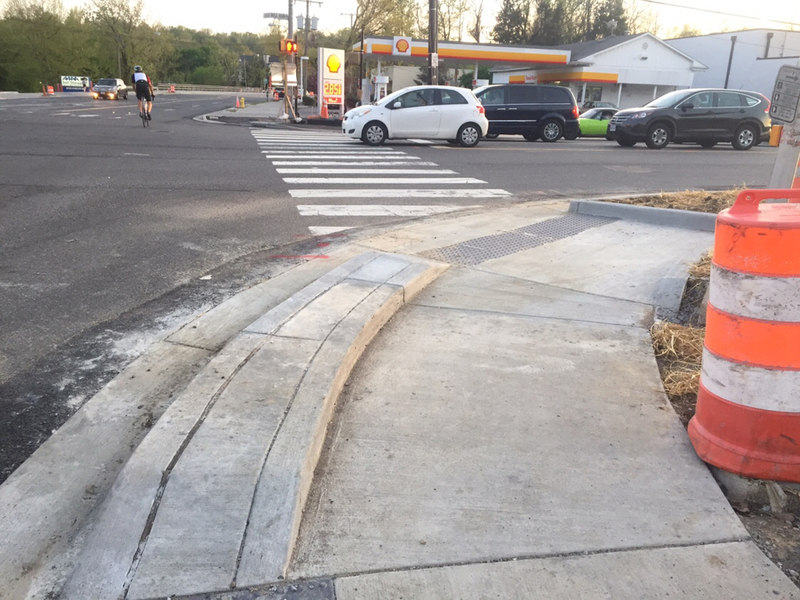 When I ran by there yesterday you could see the new curb cut from the Arlington Mill trail side and it went to road level, not raised. The refuge has been shaped out and is in progress. I've been in contact with the project manager about the WRD/FMR curb cut, and have been told that they're not done with construction. She's out of the office now, so I'm not sure if I can get an answer about WRD & AMD.